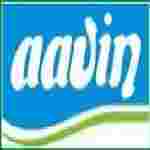 AAVIN Milk recruitment 2018 notification has been released on official website www.aavinmilk.com for the recruitment of total 36 (thirty six) jobs out of which 02 (two) Junior Executive, 24 (twenty four) for Technician, 10 (ten) for Milk Recorder vacancies. Job seekers should apply on or 10th January 2018. Here on this page you will get the details like the Name of vacancies released by AAVIN Milk with exact number of posts. Some other criteria like Education details, application fee and way to apply application for AAVIN Milk recruitment 2018. Educational Qualification: Graduate in any discipline with typewriting Higher Grade in English & Tamil for S.no-1. X Std. passed or its equivalent and ITI certificate in relevant trade or Diploma in relevant Engg. for S.no – 2. Any Degree for S.no-3. Fee charges: Applicants who wanted to participate for AAVIN Milk should pay the below charges through Demand Draft drawn in favour of The Joint Managing Director, TCMPF Ltd., Chennai – 98. Interested and eligible aspirants may apply in prescribed application form along with self-attested Xerox copies of all certificates send to The Joint Managing Director, TCMPF 29 & 30, Ambattur Industrial Estate, Aavin Dairy Road, Chennai-600098 on or before 10.01.2018.